In the early days of search engine optimisation (SEO), keywords and keyword density were hot topics. You could stuff your website with keywords and meta tags, and it would rank well in the search results. Since search engines were still in their infancy, it was relatively easily to trick them. That made keyword stuffing a popular and effective strategy to get your site at the top of the search results. But Google changed all that, making it increasingly difficult to trick the algorithm. SEO is much more complex today with Google constantly updating its algorithm, and releasing specific powerful updates, such as Panda which penalised sites abusing keywords. All this made site owners focus on creating high quality content that is useful and interesting. But site owners still struggle with whether or not keywords have a place within SEO. So, should you still care about keywords in 2016? Is keyword research still necessary and relevant? How do you choose which keywords to use? And how should you use them to properly optimise your content and get your site at the top of the search results while avoiding a Google penalty? This guide will explore these questions and more. How do you optimise content in 2016? Before we talk about the importance of keywords today, let’s look back at the importance of keywords at the beginning of SEO. What role did specific keywords play in organic search rankings? Repeat for different niches and keywords. Eric from my4hrworkweek.com has done a case study on micro niche sites, how he built one from scratch and monetised it in 2011. But here’s the thing. 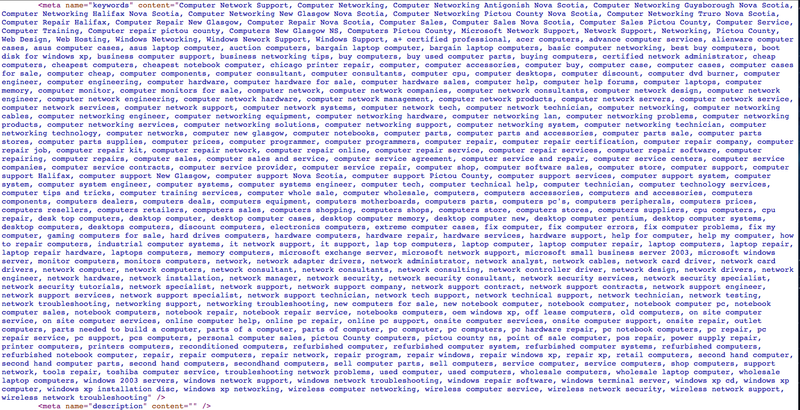 Those days when you could fill pages and meta tags full of keywords in order to rank well are long gone. Apply this technique now and you’ll see your rankings plummet and your site penalised. In the past, people would learn which keywords people used to search for their business or products. That’s great but what made it problematic was that site owners were optimising their sites with the exact keywords that people were using, often at the expense of good-quality content. It almost didn’t matter if it made sense or not so long as those keywords were there. You can see an example of how this worked in the image below. Another popular tactic was having your main keyword included in your web address. This used to have an impact on rankings, helping them rank higher for specific searches but Google’s exact match domain (EMD) update changed the rules. This means that having a keyword in your domain name won’t help you to rank higher in Google’s search results. Keyword density was a trendy topic. Webmasters and SEOs regularly calculated the ratio of keywords to the total word count of a given page. The idea was that you needed to use a keyword a certain number of times on a page in order to rank well. This used to work but not anymore. “Not surprisingly, a persistent myth in SEO revolves around the concept that keyword density – a mathematical formula that divides the number of words on a page by the number of instances of a given keyword – is used by the search engines for relevancy & ranking calculations. So there is no “optimal” keyword density you should be aiming for. If you feel a desperate need for a specific number, here’s the best we can do: according to Searchmetrics’ 2015 Ranking Factors report, the top-ranking pages used their specific keyword approximately 8-10 times, while having an average of 1285 words on the page. This refers to the practice of adding keywords in specific areas on a page where search engines would pay more attention to when examining that page. But here’s the thing: the placement of keywords is more important than frequency. We recommend using your keywords where it makes sense to have them. For example, on a product page you should have a product-related keyword. You can use it in the URL as the URL helps describe what the page is about, in this case, your product. You should also use it in the meta title and description as these also describe what your page is about. You should also include the keyword in your page’s main title and also code this as H1. The main title summarises the content of the entire page, which in this case is a product related page. Your keyword will naturally occur in the body copy of your page since the content talks about the product. Also, instead of honing in on one specific keyword, incorporate a number of related (and relevant) keywords into the content. Many site owners believed that if they’d bold each instance of their keywords, this would highlight to Google that those were important terms and that the search engine should rank the site well for those keywords. This is another strategy that no longer works so avoid bolding particular words at all if you can help it. If you do use the bold or strong tags, use them sparingly and not with the purpose of making your target keywords stand out. For many years, SEOs used anchor texts with exact match keywords to improve their SEO. And it worked so well. But the days of trying to trick the system by spamming anchor text links are gone. Doing this today is like asking for a penalty. What is exact match anchor text? It’s anchor text that uses the exact match keywords for which you want to rank. For example, if a site wants to rank for the term “wedding hairstylist” it would use the anchor “wedding hairstylist” to link to its site. Today you need to make sure that keyword-optimised anchor text makes up no more than 10-15% of your backlinks. Also try to have branded anchor text, meaning with your brand name or website URL as the clickable text. You should also vary the keywords you use for your anchor text such as “women hairstylist for weddings” or “hairstylist for brides”, as well as natural anchor text such as “find out more” or “buy now”. Another common technique was to create a different page for each keyword or variation to get more traffic to a site. Site owners would choose to create lots and lots of pages targeting keywords and variations of those exact same keywords thinking that at least one of those pages would rank high in the search results. This is to be avoided as your pages will be competing against each other and you’ll have slim chances of rank highly in the search results. Instead, focus on creating high-quality content that covers topics in depth. While this doesn’t work anymore, it’s still keyword stuffing. If you’re also targeting smaller, more niche search engines, keep in mind that they might still take the meta keyword tag into account so make sure you’re not stuffing it with keywords. If you choose to use Meta tags, only use a few keywords per page and make sure they’re unique on each page and relevant to the content on that page. Those were some of the most popular techniques that were used at the beginning of SEO. But those days are gone. Google has changed the rules with every update they’ve released. While it’s true that you can get some indication of your campaign’s performance by looking at your keyword rankings, the relationship between keywords and search visibility success has become much more complex. This means it’s time to back off the gimmicks that have worked in the past and adapt your strategy to today’s relevant SEO factors. Next we’ll look at what SEO looks like today and what were the major Google updates that have changed the way sites can achieve top rankings. Keywords do still matter in 2016, and they’ll probably always matter, to an extent. However, as search engines like Google have become more complex, they’ve started putting less emphasis on specific keywords, and more emphasis on the meaning or intent behind those keywords. Why? Because Google has been focusing on improving users’ experience and providing them with the most relevant results. Since search is still Google’s product, it’s obviously in their best interest to serve the most satisfying content to their users. Google launched Caffeine, a revamp of Google’s indexing system, in June 2010. Google’s Matt Cutts explained that “Caffeine benefits both searchers and content owners because it means that all content (and not just content deemed “real time”) can be searchable within seconds after its crawled.” So, the release of Caffeine simply made crawled content available in search results more quickly. You can learn more about Caffeine from this post published on the official Google Blog. Google Panda is a series of search engine algorithm updates designed to find sites with low-quality content and prevent them from ranking well in the search engine results. For example, sites that have spammy content, too many ads or excessive duplicate content have been penalised by this update. Google has recently confirmed that Panda was added to its core ranking algorithm. This change focused on better understanding user intent and identifying high-quality content. When it comes to content creation, since Panda was first released, websites have needed to focus on providing unique, useful and interesting content. Websites with low-quality content, meaning with thin material or little insight, should improve their existing pages, rather than just deleting them. Keep in mind that “quality content” doesn’t refer to length. Your content can be short or long – what matters is that you provide as much useful information as you can about the topic the user is searching for. So it’s not about keywords or quantity, but about the quality of the content. Read our post to learn more about Google’s core algorithm change and what this means for your small business. The Penguin update was first released about a year after the Panda update, in April 2012. The two are often talked about together when discussing Google’s push to raise the quality of content that shows up in the search results. This update targeted spammy links, meaning links coming from low quality sites or sites that were in no way related to the page it is linking to. Google looks at backlinks as a signal of a site’s authority and takes this into consideration when determining rankings. So, for Google links are like votes of trust or popularity. This means that the more sites that link to you, the more votes you get and the more popular you become. So spammy links refer to creating fake votes in an unnatural way, instead of actually earning them. With the Penguin update, Google tried to prevent websites with spammy (and sometimes irrelevant) backlinks from getting at the top of its search results. At the same time, Google emphasized the importance of developing a quality backlink profile organically. This means creating purposeful content that people want to link to. For example, you can start as simple as creating great content and then sharing it on social media in order to attract more attention to your site. In our post you can find more simple ways for your small business to build good local links. The Hummingbird update was released in August 2013 and it focused on improving Google’s semantic search capabilities. That’s because more and more people were starting to use Google in a conversational way, to type their queries as though they were asking a friend. It was more about helping Google to understand intent and context. This meant that Google would no longer just return results by connecting the keywords in a query with the keywords in the content. It also meant that content needed to go beyond just the keywords. It had to prove that it could understand what users were interested in and what information they were looking for. So while keywords are still important when it comes to telling the search engine what that content is about, this update did change the way they were used. Long-tail keywords became more important, and intent became crucial. For content creators this meant that they needed to understand who their customers are, what information they’re looking for and what content to produce based on what they might be searching for on Google. With RankBrain, Google ventured into the world of AI (artificial intelligence) and machine learning. This new system was designed to learn and predict user behaviour so Google can then interpret and respond to the hundreds of millions of unique queries that it receives every day. Google have confirmed that RankBrain is the third most important ranking signal. This has made site owners realise that success in the search results means putting greater emphasis on creating content that matches the user intent. Speaking at the Futurapolis conference in Toulouse, Behshad Behzadi, Director of search innovation at Google’s Zurich lab, said: “The future of search is to try to build the ultimate personal assistant”. In other words, Google’s mission is to anticipate users’ needs and to facilitate fulfilling them. Increasingly, Google’s search engine is linking your searches to understand the information you’re looking for. So, if you run a search using the word “bakery,” for instance, you could get an infinite number of hits from around the world. But if you search first for “London places to eat,” and then for “bakery,” the search engine remembers that you’re looking at London and searching for places to eat and automatically narrows the search field for you to local results. What’s more, the keywords users type can be used to understand what their intent is – what they really want. In the example above, it can be that you’re searching for directions to a bakery in London near you. This means that when you optimise your content, you need to think about the different users you’re targeting, the different situations they’re in, and identify how their intents differ and how you can best serve them. In the future, this might mean having landing pages targeting contexts or intents rather than keywords. There’s so much meta information that comes with a keyword. For example, if a user runs a search for a term like “Kettler Montana Stepper manual” the explicit intent is that the user is searching for a stepper manual. So the content that should be served to meet that informational search would be the manual. By decoding the keyword and understanding both the explicit and the implicit intent of the users you can create relevant and useful content that meets their needs. With so many people using smartphones to get online, Google is looking to provide better results by trying to figure out intent, location and conversation. Google knows what device you’re using to run a search. And a mobile device also offers a huge amount of data about the user and their behaviour. A search as simple as “plumber” can mean “a plumber near me”. Voice searches can also show that you’re at home, in your car or walking down the street. As a result, they try to provide results that include reviews, directions, pricing and opening hours. We’re already noticing a shift from web to data search. Google can use your search history and other information (like shopping or eating recommendations from friends or services you’ve used, the time of day, language, browser) to deliver content that is aligned with your needs and interests at a given time. Think about Google Now. The service initially worked with a limited number of data services such as airlines and hotels, and later events and restaurants to bring personalised reminders to its users. Google has also opened up Search Answers and Now Cards as ways for your business to engage with a person via their device. Check out this slideshow for more emerging trends in search. As you can see, keywords aren’t going away. They’re becoming more important. Query syntax and user intent are vital in determining what your users want. You can then use this information to produce relevant and useful content that resonates with them and answers both their implicit and explicit questions. Optimise for user intent, and not just keywords. Google is rapidly moving from explicit to implicit intent. This means the results it will show won’t just be based on simply what a user types into Google but also on the other information it has on the user and their behaviour. To better understand the user, it’ll need to understand the context and the intent of the user. This is something you need to do as well to ensure you not only rank highly in search results but also provide users with the information they’re looking for. Provide high quality content. Google would rather send long-tail search traffic, like users using mobile voice search, to high quality sites that talk about that topic than to a low-quality site that’s only relevant because it has that exact phrase on the page. Create unique content. This means no thin material, no duplicate content and no keyword stuffing. Focus on sharing content that’s helpful, interesting and that answers your visitors’ questions. Provide as much information as you can. While it’s not about how short or long your content is, long form content is a magnet for long tail searches. That’s because it usually includes the relevant keywords without stuffing the content, as well as answers to most questions. Keyword research is still important! You can’t know what your audience is looking for without proper research, which means you also won’t know what type of content to create. Check out our beginner’s guide to keyword research to learn how to build a relevant list of keywords that you can use to optimise your content. Update your content on a regular basis. Even high-quality content can lose positions to better sites with more up-to-date content. Google aims to provide up-to-date information that users find helpful so they’ll obviously push forward the latest information rather than content that hasn’t been updated in years. By not keeping content fresh and up-to-date, there is the risk of losing those good rankings as the content becomes irrelevant. So make sure you update your website content so it’s always up to date, informative and relevant. Read our posts for more tips on how to optimise your new website and how to create quality content that Google will love. Instead of spending your time thinking about how to strategically incorporate keywords, focus on getting to know your audience, their needs and interests and covering these topics while providing the best possible value. When you write excellent content that does the best possible job of covering your topic – that’s the key to high rankings in 2016 and beyond. Are you still using keywords to optimise your content? How has your strategy changed?